You will find below the horoscope of Vanessa Hudgens with her interactive chart, an excerpt of her astrological portrait and her planetary dominants. Horoscopes having the same aspect Mercury conjunction Uranus (orb 0°24'): Leonardo DiCaprio, Keanu Reeves, Joaquin Phoenix, Alessandro Del Piero, LeBron James, Simone de Beauvoir, Simone Signoret, Mac Miller, Jacques Brel, Eva Braun, Jack Black, Nathalie Baye... Find all the celebrities having this aspect. Horoscopes having the same aspect Sun trine Ascendant (orb 0°55'): Jennifer Aniston, Ryan Gosling, Ashton Kutcher, Robert Downey Jr., Naomi Campbell, Mike Tyson, Michael Fassbender, Eva Longoria, Jennifer Love Hewitt, Priyanka Chopra, Steven Seagal, Gia Carangi... Find all the celebrities having this aspect. Celebrities born the same day: Nostradamus, Jane Birkin, Bruno Gaccio, Dilma Rousseff, Sanjay Gandhi, Paul Éluard, Maurice Mességué, Émilie Nef Naf, Tycho Brahé, George VI of the United Kingdom, Morihei Ueshiba, Albert Spaggiari... List of all the celebrities born on December 14. Celebrities being the same height: Stevie Nicks, Rachida Dati, Véronique Sanson, Franz Schubert, Katie Couric, Fadela Amara, Rosie Perez, Surya Bonaly, Urmila Matondkar, Connie Francis, Teairra Mari, Ann Widdecombe... List of all the celebrities being 5' 1½" tall. Celebrities clicked on in real-time: 576,917,062 times. Vanessa Anne Hudgens (born December 14, 1988 (birth time source: Viktor E., Astrodatabank, birth certificate) is an American actress and singer. She made her debut in 2003 appearing in the Hollywood films Thirteen and Thunderbirds, before reaching fame in 2006 after appearing in the Disney Channel film High School Musical hit series. Hudgens began a music career and released her debut album, V, in 2006. Her sophomore album, Identified, was released July 1, 2008. She is currently a Neutrogena spokesperson. Hudgens was born in Salinas, California, the daughter of Gina (née Guangco) and Greg Hudgens. She has a younger sister, Stella Hudgens. Here are some character traits from Vanessa Hudgens's birth chart. This description is far from being comprehensive but it can shed light on his/her personality, which is still interesting for professional astrologers or astrology lovers. 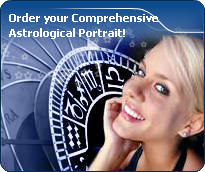 In a matter of minutes, you can get at your email address your astrological portrait (approximately 32 pages), a much more comprehensive report than this portrait of Vanessa Hudgens. Vanessa Hudgens, the nocturnal North-western quadrant, consisting of the 4th, 5th and 6th houses, prevails in your chart: this sector favours creativity, conception and some sort of specialization or training, with helpfulness and relations as strong components. You need others' cooperation in order to work properly, although you are not very expansive: creating, innovating and thinking are what matter most to you because this self-expression enriches you and totally satisfies you. Like the majority of Earth signs, Vanessa Hudgens, you are efficient, concrete and not too emotional. What matters to you is what you see: you judge the tree by its fruits. Your ideas keep changing, words disappear, but actions and their consequences are visible and remain. Express your sensitivity, even if it means revealing your vulnerability. Emotions, energy and communication must not be neglected; concrete action is meaningless if it is not justified by your heart, your intellect or your enthusiasm. Vanessa Hudgens, Fire is dominant in your natal chart and endows you with intuition, energy, courage, self-confidence, and enthusiasm! You are inclined to be passionate, you assert your willpower, you move forward, and come hell or high water, you achieve your dreams and your goals. The relative weakness of this element is the difficulty to step back or a kind of boldness that may prompt you to do foolish things. The emphasis is on succedent houses in your chart, namely, the 2nd, 5th, 8th and 11th houses, Vanessa Hudgens: this configuration usually endows a personality with affective and sensitive qualities. Obviously, to the detriment of self-confidence or self-assertion, but your heart qualities may be very important. These houses also favour realization. Time and patience are part of their characteristics. However, they are only indications and you must include them in the rest of your chart in order to see whether they are validated or not! In your natal chart, the three most important signs - according to criteria mentioned above - are in decreasing order of strength Capricorn, Scorpio and Taurus. In general, these signs are important because your Ascendant or your Sun is located there. But this is not always the case: there may be a cluster of planets, or a planet may be near an angle other than the Midheaven or Ascendant. It may also be because two or three planets are considered to be very active because they form numerous aspects from these signs. The 5th, 3rd and 4th houses are the most prominent ones in your birth chart. From the analysis of the most tenanted houses, the astrologer identifies your most significant fields or spheres of activity. They deal with what you are experiencing - or what you will be brought to experience one day - or they deal with your inner motivations. After this paragraph about dominant planets, of Vanessa Hudgens, here are the character traits that you must read more carefully than the previous texts since they are very specific: the texts about dominant planets only give background information about the personality and remain quite general: they emphasize or, on the contrary, mitigate different particularities or facets of a personality. A human being is a complex whole and only bodies of texts can attempt to successfully figure out all the finer points. Your sensitivity is all on edge, Vanessa Hudgens, and your emotions so deep, your imagination, so lively, that you are often found in the sweet realm of dreams. You create your own fantastical world with entangled fragments of current reality, romantic souvenirs and hidden hopes. Your receptiveness is so intense that it may border on mediumship or, more disturbing and rare, you may have hallucinations. Your character fluctuates according to the stimulation of the moment but in general, you are a nice person, full of gentleness and romanticism, always ready to understand and to dedicate yourself. You have real healing powers, would it be only through your ability to instinctively understand other people's sufferings. Your affective structures can be likened to a roving radar. You are vulnerable, hurt by the slightest aggression and easily influenced because you are unable to step back from people and events; therefore, you may start to be doubtful and lose the self-confidence that you so badly need to progress. You need to concentrate on a subject, Vanessa Hudgens, to deepen your research and to follow your reasoning through with persistence and determination. You are the very type of the thinker who needs time and isolation to meditate at length and allow her serious, methodical and rigorous mind to show its worth. Your feet are firmly planted on the ground and to get your attention, ideas must be followed by implementation, for instance as in the case of mathematics applied to physics. You focus on the essential and you look at the world around you with clear-sightedness. You are not very talkative and you act with caution. You may come across as cold and ambitious even though your comments are always sincere and practical. However, be careful not to isolate yourself and to appear as a lofty and intolerant person. You cannot dissociate love from passion, Vanessa Hudgens. Your feelings are immediate, imperious, intense, and it is absolutely impossible for you to think of an amorous relationship without fusion, without the irresistible desire to know everything about your partner: emotions, feelings, sexuality, everything must be experienced in a possessive, absolute and unrestricted way. Actually, your feelings are as complex as they are deep. You seldom love, but when you do, a burning ardour and its torrid, violent frolics consume your couple. It is obvious that such powerful feelings may lead to jealousy and absolute exclusivity, almost bordering on the will to control your partner. If your relationship is genuine, all is fine. But if it is not the case, there are real dangers of shared wounds within your couple; it is hard to reconcile passion with tranquillity and it is clear that for you, sentimental serenity involves a partner who is either as complex as you and who instinctively understands you, or who is complementary, and as calm and steady as your impulses are intense and deep. Impulsive, impatient, quick and energetic? You? Yes of course, Vanessa Hudgens. You are courageous and able to make intense and huge efforts for a short while; and what a terrific rhythm! In sport, of course, or in your sexuality, you are not the type who ponders, you take action instinctively, “in a rough and ready way”. You are outspoken, you do not worry about other people's opinion and you do not allow them to slow you down or to judge you. You must succeed or fall apart. You cannot be bothered with diplomacy or with compromises. You are too straightforward and unyielding to waste time with finesse or shrewdness. This is what makes you charming because, with you, one always knows where one stands. This text is only an excerpt from of Vanessa Hudgens's portrait. We hope that it will arouse your curiosity, and that it will prompt you to deepen your knowledge of astrology, as well as to visit and use the wide range of free applications at www.astrotheme.com.